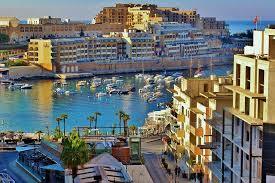 Book Cheaper Car Hire for St Julian's, Malta. Compare reduced rental costs for SUV, minivans & jeeps in St Julian's. 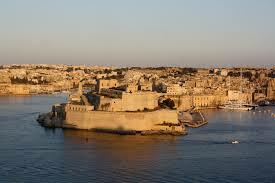 We offer discounted car hire in the Maltese city of St Julians, as well estates, station wagons, SUV and MPV. Need something a bit bigger? Then rent 7 or 9 seater minivans.GPS optional extra. You get mileage included in the rate, as well as all the usual packages, like insurance, excess waiver, breakdown and so on. 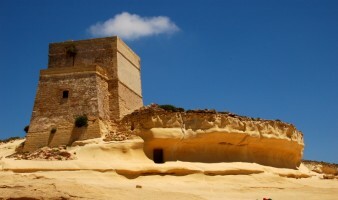 Need to do drive one way to another part of Malta and leave the car there? One ways are allowed within Malta. So if want to go from St Julian's to Bugibba, then no problem. 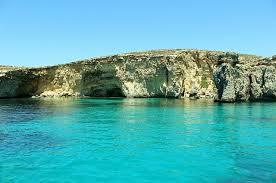 All our Maltese car rentals are with quality suppliers. We search several St Julians' car hire databases, including Budget, First and Sixt at the same time, looking for your car at the price you want. You have a free cancellation option. Check the terms, as restrictions apply. This popular resort sits on the east coast and has scenic bays and cliffs to explore during the day and then relax at a restaurant around the harbour in the evening. This town is where there is one of the livelier resort areas with more of a modern day feel, due to new hotels, casinos, bars, restaurants and nightclubs, spilling over from the next door Paceville. Car hire in St Julian's can be collected from either the Hilton Hotel or the Cavalieri Hotel, or from the depot in the town. Drive around St Julian's in a good priced, rented jeep. 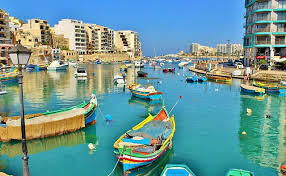 We have cheaper hire prices on SUV and MPV in St Julian's, Malta. Compare today and book or get email quote, but prices do change. Minivans to seat 7 at reduced rental rates. 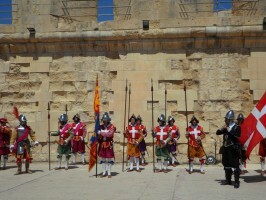 Check the Malta website for more on St Julian's.